Not only is our food the very symbol of our melded heritage – Indian, Chinese, Creole, European, you name it, we’ve got it – it’s also one of the strongest institutions we value and uphold. Restaurants are doomed if they do not satisfy our exacting tastes. I mean, just have a look at our shopping malls: most people aren’t there to shop, but are instead seriously chowing down in the food court. 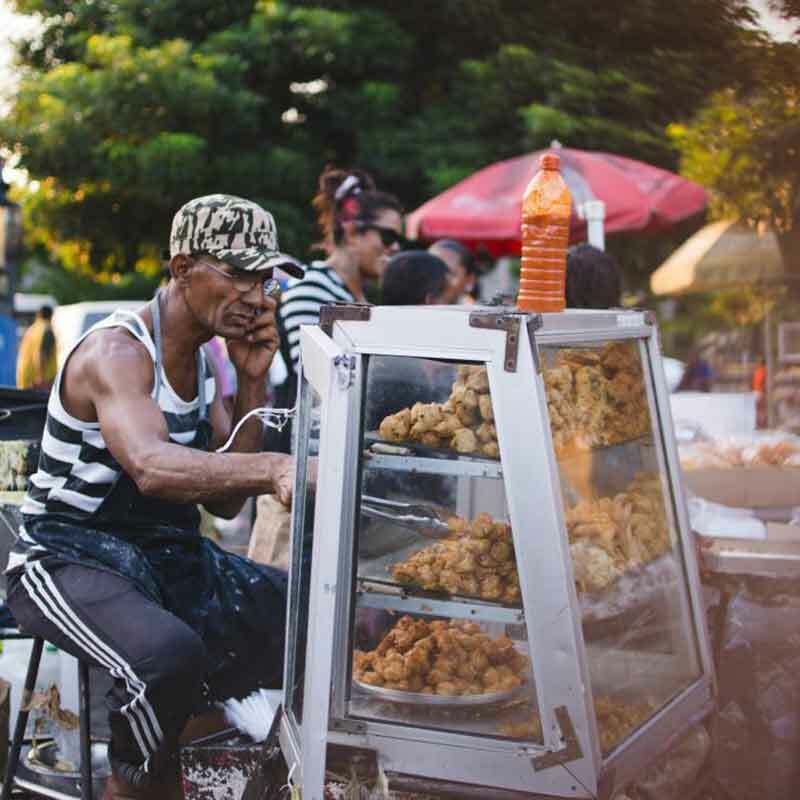 The streets are where you’ll indulge in Mauritian food at its finest and cheapest. I’m writing this at noon, in Curepipe. The streets are about to burst with people. They line up, patiently waiting for the highlight of their day. 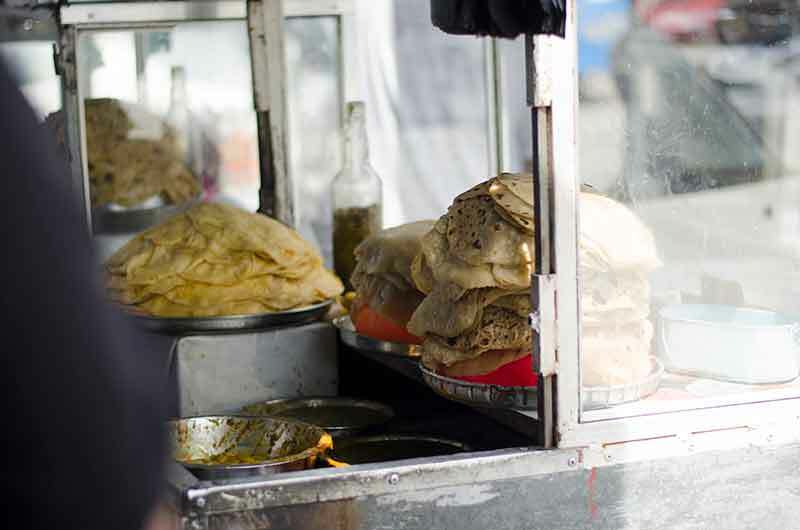 Some opt for the tried, trusted – and ahem, ahem, healthy – dholl puri, some for a gloriously overflowing kebab. Whatever the case, each local has their preferred baz (literally ‘base’, which is so telling).Presenting our street food royalty! Ok, I’ve put both at the top, and I’m ready to be lambasted for it (‘they’re so very different!’), but I wasn’t going to rank one above the other. Both are Indian flatbread wraps, filled with a curry mix. The latter varies, but usually it’s some kind of bean curry, pickles, chutney and/or rougaille, a local tomato-based red sauce. Dholl puri is made of – you guessed it – dhal (yellow split peas), and is much softer and thinner than the roti. Because of this (or maybe just due to Mauritian appetites) you don’t eat one dholl puri, but several – they are sold in pairs. Dhall puris stem from Bihar, in India. I don’t dknow if we’ve kept the traditional cooking method, but here our dhal is seasoned with turmeric and cumin. Rotis are cooked on a tawa, or hot plate. Made of white flour, they are gorgeously layered (a bit like puff pastry, but soft), and ideally should almost melt in your mouth. 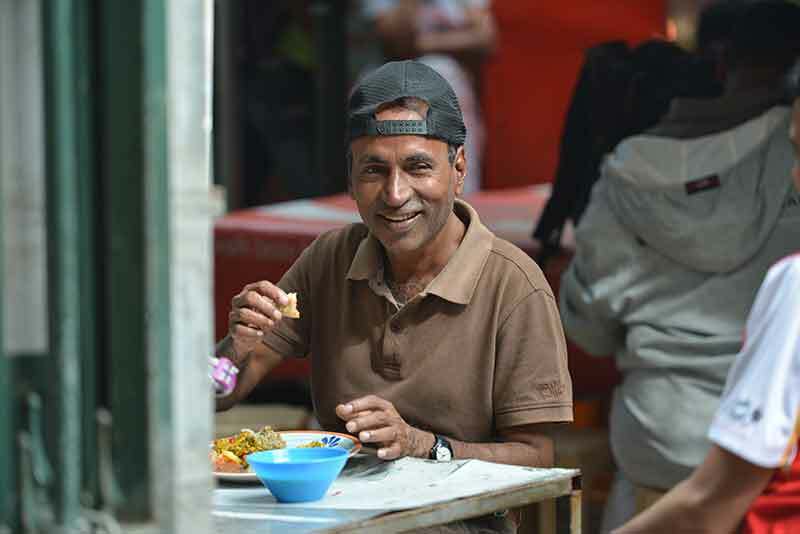 If you’re around Port Louis, head to Roti Aka – the place is legendary. Also known as gajak (snacks), these blissful balls of flavour (gato means cake) are seriously addictive. Hailing from Xi’an, China, where they’re called jian dui, gato zinzli or sesame ball cakes are my ultimate comfort food. They’re crunchy on the outside, super soft and chewy on the inside, and feel like a hug with every bite. Gato arouille, or arwi, are super fragrant taro root or yam cakes. They taste amazing because the taro or yam is seasoned with ginger, chilli and sometimes tamarind sauce! Gato pima, or chilli cakes, are possibly Mauritius’ best known snack. Like the dholl puri, gato pima are made with yellow split peas and are wonderfully seasoned – the best are stuffed with cumin and herbs in addition to chilli. 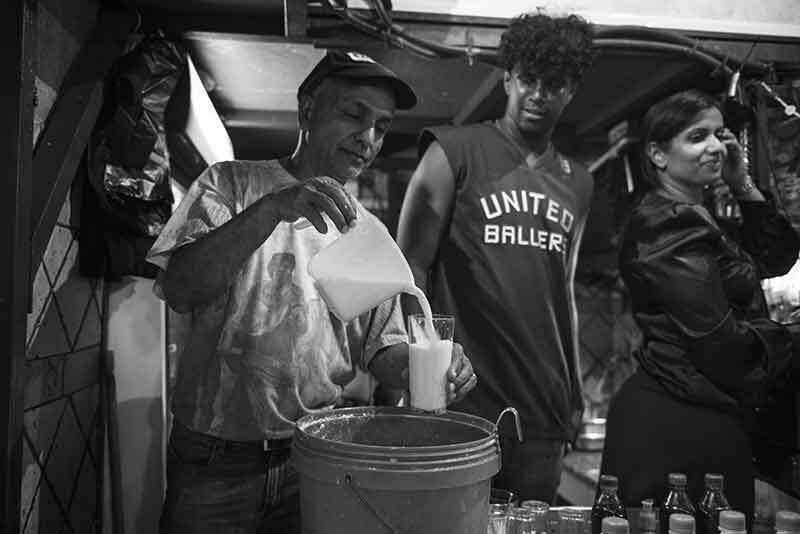 Baja, our local pakoras, are often referred to as baja les courses – perhaps because they are famously sold at the races, and are an indissoluble part of that Saturday tradition? I’m not sure. In any case, they are deep-fried treats made of chickpea flour, always served with seriously spicy chutney. ​In winter – Ok, it may be our winter, but still – haleem is the best heartwarming soup there is, like a Miyazaki movie. Remarkably, it’s also served on the street. 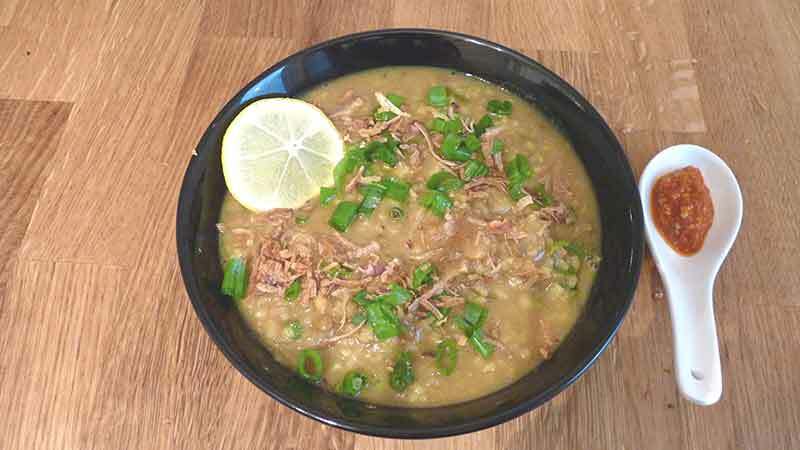 Made with lots of carefully-blended spices, wheat, lentils and meat, haleem is as fragrant as they come. I’ve read that it’s an Arabic dish, brought to Hyderabad in southern India during the Mughal period by immigrants from Iran and Afghanistan. Muslim sailors from southern India brought the dish to Mauritius, and we can never thank them enough. 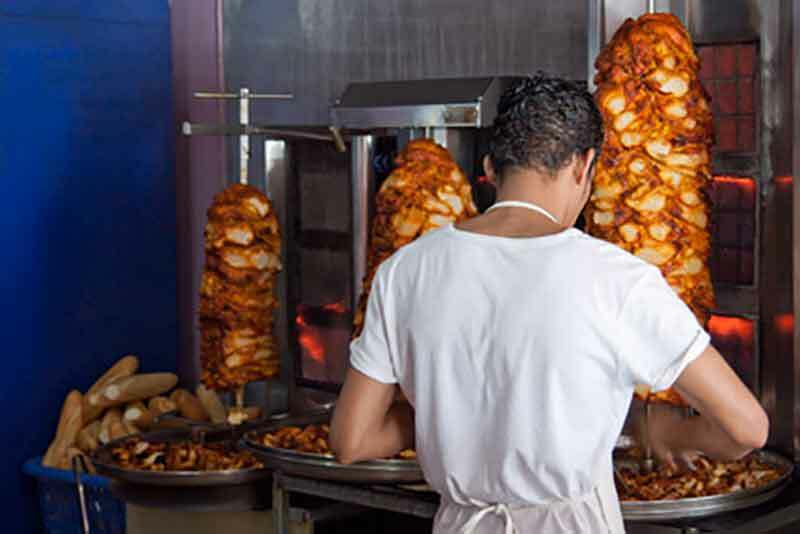 You know what I really love about our kebab? It’s a Middle Eastern dish, served in a French baguette. What could be more Mauritian than that? And this is what differentiates us from the kebabs served around the world – and the quality of our shawarma, of course.A Mauritian kebab is basically marinated, skewered meat and a kind of salad, served up in hot bread with mayo, ketchup and chilli. My absolute favourite place to go for this is Shabaan, in Quatre Bornes – there’s always a queue, and it’s always worth it! Local dumplings, served in a light-yet-satisfying broth – who could ask for more? They’re the best hangover cure too – which is why you’ll often find a boulettes seller near all the bars and clubs. The best part? All the boulettes on offer work really well together. 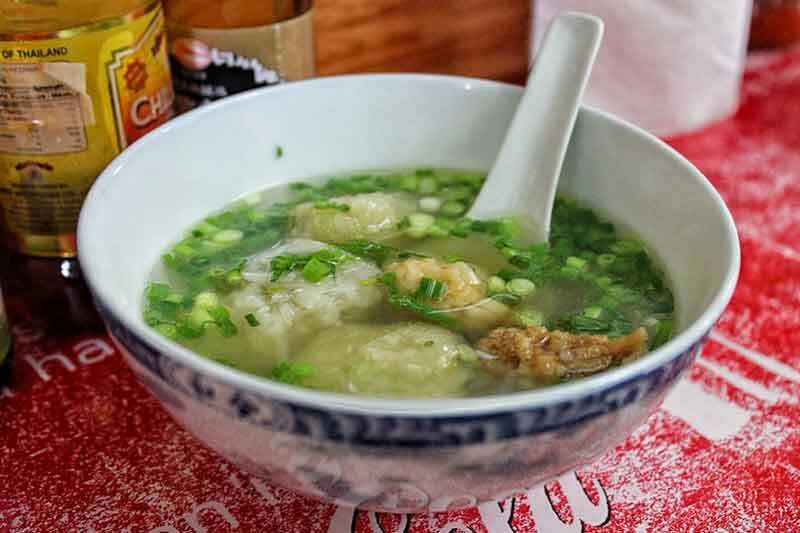 So there’s no picking between niouk yen (chayote), sao mai, wonton, and beef – dive right in and eat everything! Ideally, after eating any of these, I’d be happily gulping down alouda as my digestif. Alouda’s a super sweet, super cold milky drink. 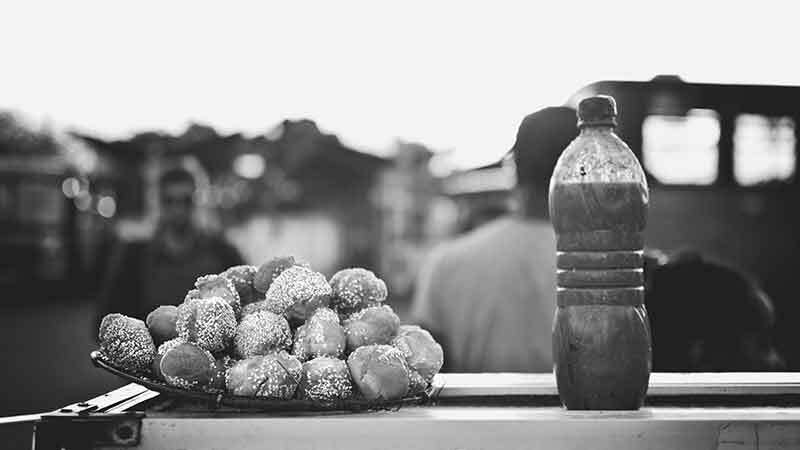 If you’re in Port Louis, either head to the market for some saccharine relief, or try our local sellers on the street. They make the sweaty, heady Port Louis summer worth it.